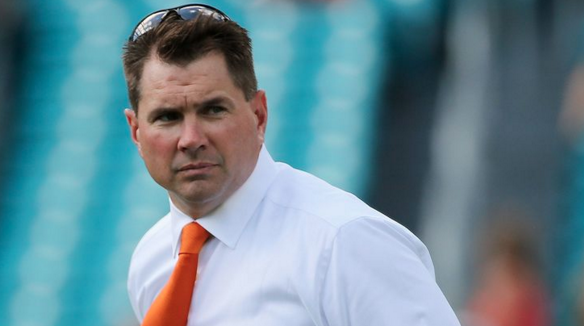 After suffering the most lopsided and embarrassing loss in school history, Miami Hurricanes athletic director Blake James says Al Golden will not be immediately fired. Miami AD Blake James tells me no coaching change coming after game. Called it , "disappointing," but, "We'll go and get ready to play Duke." Golden, who has a 32-24 record in his four-plus seasons at the school, has been under increasing criticism as attendance has dwindled at Miami’s home games. Miami started the season 3-0.